With these Course Bundles, we like to promote Education that we think is most important or Courses that are very special to us (Ecology Bundle). This knowledge and experience will help to create comfort. 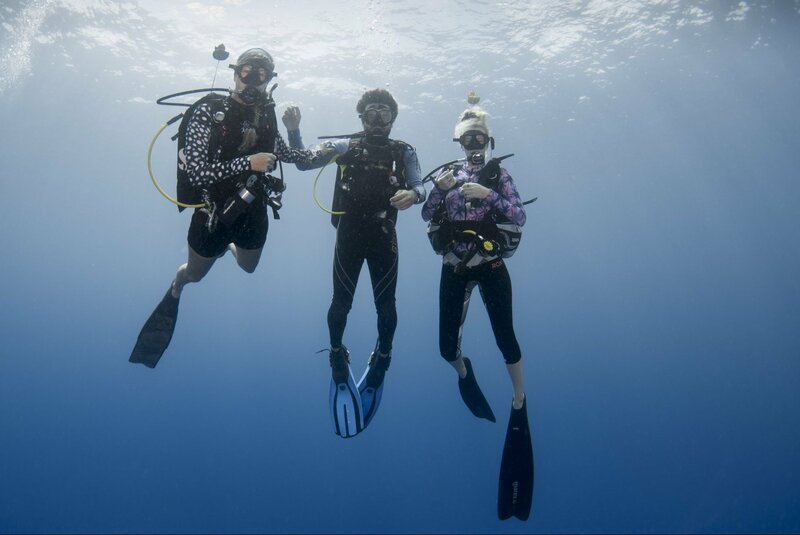 The OWD Course + one Specialty (Nitrox, Dry Suit or Perfect Buoyancy). This is for beginners who want to get more out of their training program. The Specialty Programs will serve the purpose of continuing education right away and creating more comfortable by experience. The next steps are the SPECIALTY BUNDLES for those divers who want to reach out for higher levels and become an icon. The Ecology Bundle is perfect to get a profound knowledge about what to expect underwater. It combines the 5 Specialties Marine Ecology, Shark Ecology, Turtle Ecology, Fish Identification & Coral Identification. These courses are very educative, not only for Divers. To underline the awareness of our amazing underwater world and it’s fragility as well as the importance of helping to protect it. We promote these courses all year around. A Program created to raise the awareness of the environmental problems our oceans are suffering day by day. Its main objective is to support the conservation and sustainable use of aquatic environments, including oceans, seas, coasts, and waterways and their magnificent diversity of plant and animal species. The Mission Deep Blue Online Course is free of charge and accessible for Divers and Non-Divers. We‘re all responsible for protecting our aquatic resources and we want our clients to think critically, and take positive action whenever they travel and dive. The CMAS 2 Star course allows divers to go until 40mts and gives them a first inside into Decompression Diving.